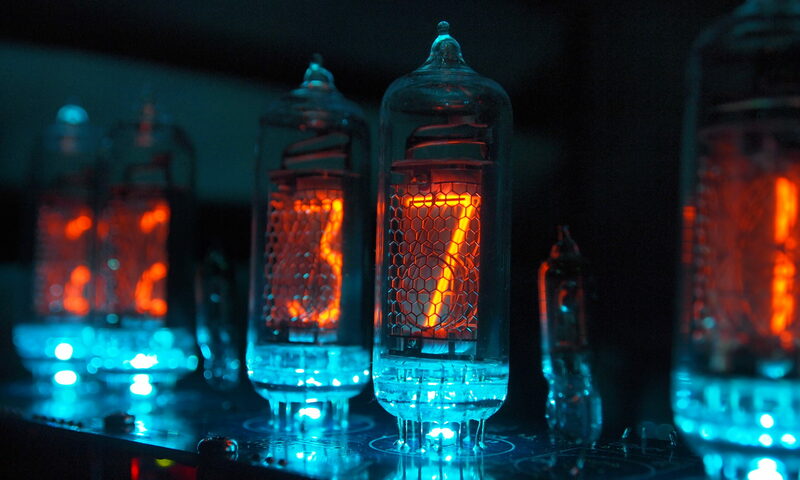 The GR-2 is a large top-view nixie tube made by the Japanese company Rodan-Okaya. This is one of the first models they made – the other being the GR-1 – starting in 1958. This particular tubes are marked with the Rodin logo, which wasn’t trademarked until 1962. Although the company itself say it was Rodan, both spellings occur on the tubes and the boxes. It is an earlier version of the CD-12. The main difference is that this is a ‘normal lifeltime’ tube – i.e. it is not doped with mercury. There are also physcial differences: the shape of the numeral ‘4’, the shape of the anode grid and the anode grid support structure. Comparison photographs are given below. The datasheet indicates that there is another earlier variant of this tube, the GR-202, which is a long lifetime version of the GR-2.